Pharmacy technicians practice under the supervision of a licensed pharmacy to dispense medications and provide medical support to patients. Pharmacy technician training programs are designed to meet the demands for trained technicians to fill critical roles in hospital and retail pharmacies. Technicians are indispensable to pharmacists as they give them the freedom to focus on other important aspects of the pharmacy operation. They also help to fill the gap in the field caused by a shortage of pharmacists. 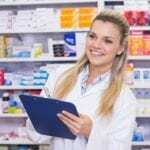 Though a pharmacy technician can never replace the role of the pharmacist, they can manage much of the day-to-day activities such as customer service, receiving and preparing prescriptions for dispensing, maintain the inventory of drugs, and preparing insurance claims, and updating pharmacy records. A pharmacist must review an order prepared by the technician before the medication is dispensed to a patient. 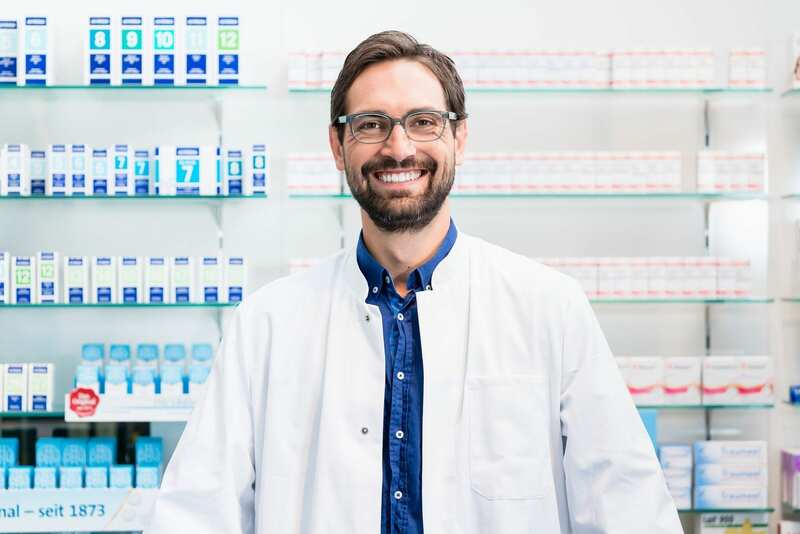 The expansive role that the technician plays in today’s pharmacy makes certification even more critical for many employers – and some state boards. Certification is not required in Georgia. However, the Georgia Board of Pharmacist recognizes certification only from the Pharmacy Technician Certification Board. The pharmacy technician program offered by the University of Georgia prepares students for an entry-level position in the field of pharmacy. Students will complete the academics online and will learn medical and pharmaceutical terminology and pharmacy calculation. The online program also includes a Virtual Externship and a 100-hours pharmacy externship to develop hands-on skills in a retail pharmacy. The program covers everything students need to pass the PTCB national exam. Since the program is offered online, students will have the flexibility to complete the requirements at their own pace – up to 12 months. To ensure students’ success, the program will pair each student with an instructor for one-on-one assistance. Courses in the 400-hour program include orientation to pharmacy, law and ethics, pharmaceutical calculations, parenteral doses, pharmacology, body systems, I.V. Flow Rates, communication skills and building, billing and collections, insurance, lab practice for retail and hospital settings, pharmacy externship, and a final comprehensive exam. At the conclusion of the program, students will be able to interpret physicians’ orders and prescriptions, process insurance billing, perform pharmaceutical calculations and understand the pharmacology of medications. Complete a background check and drug screen to participate in a clinical at CVS or Walgreens. Tuition for the program is $2495 and includes all the course materials and the registration for the for PTCB exam. New Horizon Medical Institute prepares pharmacy technician students for employment in a hospital pharmacy, retail pharmacy, or large pharmacy chain store. The program includes the knowledge and practical skills a pharmacy technician will need to dispense prescriptions under the supervision of a licensed pharmacist. Students will learn the basics of pharmacy practice and understand the legal requirements for pharmacy records and the handling of various drug categories. The curriculum covers a total of 440 hours including 189 lecture hours, 121 lab hours, and 130 externship hours. Course topics include medical terminology, medical anatomy and physiology, introduction to pharmacy, pharmaceutical math and drug dosage calculation, pharmacy drug therapy and treatment, pharmacy ethics and procedures, intravenous admixture and sterile compounding, and pharmacy technician externship. Students will also complete a Pharmacy Technician Certification review in preparation for the PTCB exam. The estimated completion time is 16 weeks. Students must demonstrate competency in the pharmacy skills and complete the externship to graduate from the program. Tuition for the program is $4015. Additional expenses include books, CPR and First Aid, online tutorial, state registration, and certification exam. CNU Medical Institute provides adults with the foundational knowledge to become a Certified Pharmacy Technician. The curriculum includes theoretical and practical instruction given in context of a Pharmaceutical Care Model. Areas of study include but are not limited to classification of drugs, medication administration, aseptic techniques, contra-indicators, drugs and their effects, pharmacology, pharmaceutical calculations, inventory control, and billing and insurance. The duration of the program is 16 weeks. Graduates are eligible to sit a National Certification Exam. Funding may be available for eligible students.